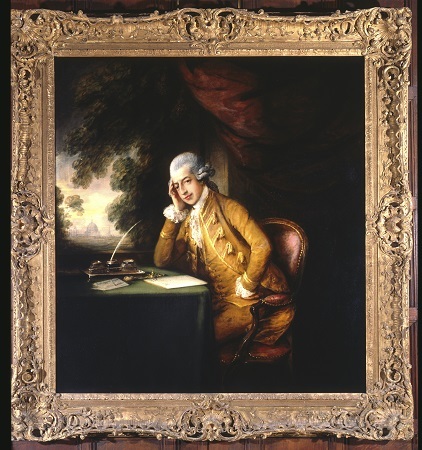 A Portrait of a man dressed in yellow seated at a table with an inkwell and a letter inscribed and dated "Sign. Raphael Franco, London" and " London 30 m. 1780." He sits in front of a window with a view of St. Paul's and a rose colored curtain. Set in a large gilt frame with shells at the corners and the middle of each side. Mr. James B. Duke purchased the painting from on July 8, 1910 from Christie, Manson & Woods in London. Sale was estate of Sholto Montgomery Cay, Esq., the Earl of Morton. Was previously at 78th Street House in New York.